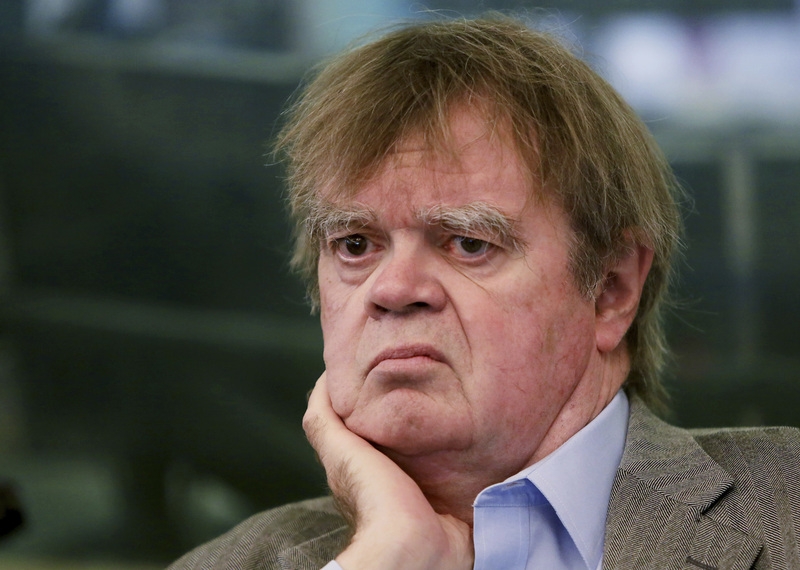 MINNEAPOLIS (AP) — Outraged Garrison Keillor fans deluged Minnesota Public Radio Thursday with complaints about the firing of the humorist over alleged workplace misconduct. Some say they will no longer support MPR, one of the nation’s largest public radio operations, which depends heavily on financial contributions. MPR said Wednesday it was cutting ties with Keillor, creator and former host of the popular public radio show “A Prairie Home Companion,” over an allegation of workplace misconduct. The network did not give details, but Keillor told the Minneapolis Star Tribune that he had put his hand on a woman’s bare back while trying to console her. On Thursday, MPR repeated that it had received just one formal complaint against Keillor, a day after a statement by him raised questions about the extent of the allegations. Keillor told The Associated Press in an email Thursday evening that one person had brought a claim against MPR and one person had brought a claim against him. He says he hasn’t seen the allegations against him and that his account to the Star Tribune was the only incident he could remember. Andresen didn’t immediately respond to a request for comment on Keillor’s statement. Meanwhile, MPR News reported that many people were angered at Keillor’s dismissal and dozens planned to cancel their memberships. More than 400 people had expressed themselves through MPR’s Public Insight Network within 24 hours of the news breaking. Discussions on the MPR News Facebook page had generated more than 25,000 words, enough to fill a 100-page book. While many fans supported Keillor, the professional fallout for the popular radio personality continued on Thursday. The Washington Post said it won’t distribute any more columns by Keillor because he didn’t reveal he was under investigation in his most recent column. Keillor’s last column criticized calls for Minnesota U.S. Sen. Al Franken to resign over allegations of sexual misconduct. According to its 2016 financial report, St. Paul-based MPR and its parent company, American Public Media, received 63 percent of its revenue that fiscal year from the public. Of that public support, $21 million was from individual gifts and memberships. Keillor was on an East Coast tour through Sunday with the folk duo Robin and Linda Williams. But the remaining shows in Connecticut and New York State were canceled, according to websites for those theaters. Keillor also was set to appear Wednesday night at a theater in western Massachusetts, but that show was canceled after news broke of his dismissal by MPR. MPR has said it received allegations of “inappropriate behavior” against Keillor last month involving one person who worked with him during his time hosting “Prairie Home.” MPR did not elaborate on the allegation. Keillor retired as host of the radio variety show last year, but the Saturday evening show continues with mandolinist Chris Thile as host. MPR said it would rename the show and end distribution of “The Writer’s Almanac,” Keillor’s daily reading of a poem and telling of literary events. MPR also plans to end rebroadcasts of “The Best of A Prairie Home Companion” hosted by Keillor. Tags: firing, garrison keillor, minnesota, radio. Bookmark the permalink.